Calling all pranksters! April Fools' Day is your time to shine...along with a chance to score some good deals along the way. Find the perfect items to celebrate the holiday, and use Borderlinx for foolproof international shipping to your home. Across North America and Europe, April Fools' Day is the day to pull the perfect joke on your friends, family or complete strangers. But how and where did this holiday start? Truth is, no one is entirely sure. Some think it originated with Hilaria, an ancient Greco-Roman festival celebrating the spring season with masquerades and pranks. Others think it began in 1582 when Christians switched to the Gregorian calendar (named for Pope Gregory XIII), which moved the start of the new year from the end of March to January 1. There are lots of other theories, but April 1 is now designated as a light-hearted holiday for laughs and creativity. Get in on the fun with Borderlinx, and shop for pranks and products from stores around the world like a local. You'll find stores all over the web with awesome April Fools' Day products. Of course, not everything around the holiday has to involve pranks. It's also a great time to grab some novelty merchandise to celebrate. Not sure where to shop? Here are some suggestions. This U.K. store's tagline is “Shop for the Unusual”, so it's safe to say you're going to find something random and noteworthy. From custom face-printed car fresheners to never-ending singing birthday cards, you'll have a hard time narrowing down your shopping list at Firebox. Etsy is where creativity thrives. It's the place to find unique handmade items and vintage goods in one marketplace. Best of all, your purchases support independent creators from all over the world. Search for gag items, t-shirts, cards and more for the April Fools' Day holiday. Amazon is the place to visit for light-hearted prank items, prank guide books and games. Check out Amazon's dedicated April Fools' Day page for ideas and curated products like the classic whoopee cushion and novelty mugs. It's all in the name. Prank Place has everything you need to pull off the perfect prank this April Fools' Day. Find super silly gifts and joke items for every occasion. Bonus: Spend over $50 and shipping is free to the Borderlinx U.S. hub. April Fools' Day isn't a traditional retail holiday, but that doesn't mean you won't find special discounts during this time around the web. To celebrate both the holiday and the spring season, stores may offer solid discounts on select merchandise. Take a look at the sales offered last year on April 1. Tip: Retailers don't always advertise a full discount on their website. Some send out exclusive promotional codes to their email subscribers, so take a second and add yourself to their list. How did Borderlinx Customers Shop April Fools' Day Last Year? Here's what Borderlinx shoppers shipped to our U.S. hub around April 1, 2017. Spend less time worrying about international shipping this April Fools' Day with Borderlinx. You'll enjoy fast delivery, reliable tracking and money-saving features on your purchases. Borderlinx's Shipping Cost Calculator is a handy way to estimate the total cost of shipping from the Borderlinx hubs to your home. We even include guaranteed tax and duty cost in our calculation. 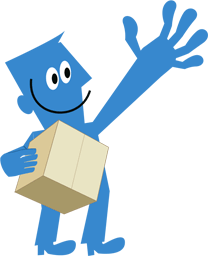 If you order from multiple stores, Borderlinx's shipment consolidation option lets you release all your packages from our hub at the same time to save on shipping fees. Take the guesswork out of customs fees and paperwork. Borderlinx will handle payment for taxes and duties on your April Fools' Day purchases. Sources: History, Time, Nerd Wallet, The Real Deal, The Huffington Post, Go Banking Rates * Please refer to our Prohibited Items list for products that cannot be internationally shipped with Borderlinx.